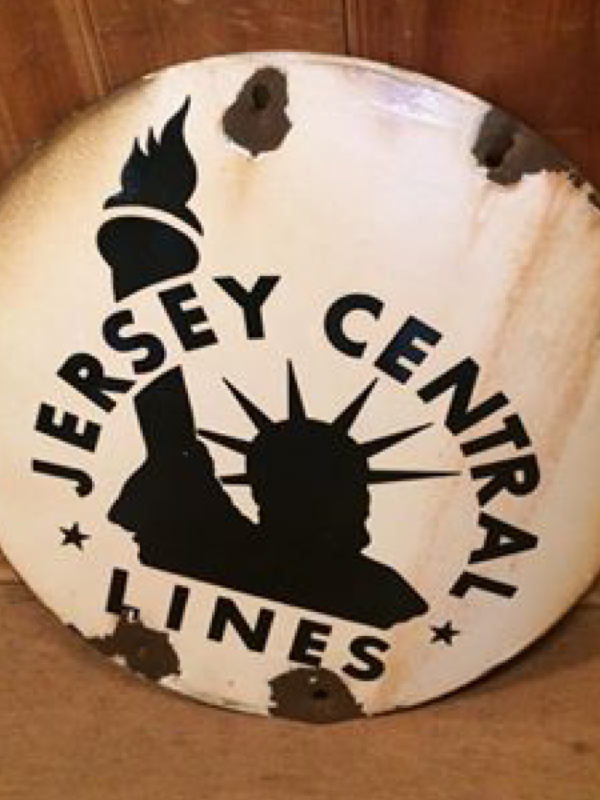 Rare antique Jersey Central Lines porcelain over steel sign in as found condition. Measures 18″ with some nicks and dings. Sign does have a slight bend also. Take a look at pictures below………..